That's how many hours that trucks crossing the border near El Paso, TX are often waiting to get into Mexico, according to numerous reports this week. Normally, the waiting time is 2-3 hours. What's happening? This traffic mess occurred after the Trump administration just reassigned at least 750 Customs and Border Protection officers, moving them away from the ports of entry to help with processing migrant families. That has resulted in commercial crossing lanes being closed, leading to the giant backups. The logistics mess is causing production problems in Juárez factories due to needed components running out, and could also slow manufacturing operations in the United States, manufacturing industry leaders say. The problem could get worse on weekends because one of the bridges is being closed to commercial shipments on Saturdays. “I've never seen this happen to this level,” said David Garcia, director of operations and a partner at Specialized Harness Products of El Paso. Hundreds of trucks are being forced to stay overnight on the bridges. Truckers are now only able make only one single round-trip journey per shift, down from two or three crossings per day under normal conditions. That amazingly is the number of retail employees who lost their jobs just in January and February, according to a report last week from job placement firm Challenger, Gray & Christma. That figure was up a 92% versus the same time last year. The latest retailer to announce major closings: Lifeway Christian Bookstores, which announced last week it would be closing the doors of all 170 brick and mortar stores, in a pivot to focusing on digital and ecommerce. There have been 5,399 store closures in announced the first 12 weeks of 2019, according to fresh estimates from Coresight Research. Sound high? It is. There were 5,726 closures in all of 2018. However, the level of closed stores and lost jobs is dominated by the bankruptcy of Payless Shoes, which is shuttering some 2500 locations. Even Walmart is closing some locations, with a recent report that the chain Walmart is closing at least 11 US stores across eight states. 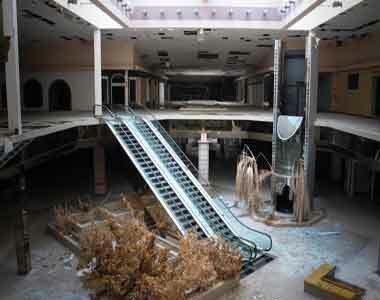 The so-called “retail apocalypse” is well underway for 2019. That is the value of concessions made by workers at the well-known Lordstown, OH GM assembly plant in 2017 – leaving the union and employees stunned when the company announced in late 2018 that the plant and three others in North America would be shuttered. In fact, the last Chevy just rolled off the assembly line in Lordstown, a city near Youngstown in an area that had been devastated in the 1980s by local steel plant closings. Dan Morgan, shop chairman of UAW Local 1112, detailed the concessions that GM workers at the Lordstown plant were willing and ready to make to Bloomberg News last week. Despite that offer, GM CEO Mary Barra decided to close the plant anyways. “Everything they asked us to do, we did,” Morgan said. “And still, we don't have a product to build.” The UAW concessions to GM included: saving $3 million a year by merging UAW Locals 1112 and 1714, agreeing to outsource non-assembly jobs to lower-wage workers, agreeing to allow GM to cut the number of skilled jobs at the plant in half, and allowing GM to use contractors to repair vehicles at the plant. A sad tail indeed. That was the solid and somewhat surprising level of the US Purchasing Managers Index for March, according to the latest report this week from the Institute for Supply Chain Management. That score was up 1.1 percentage points from the February reading of 54.2, and was back solidly above the 50 mark that separates US manufacturing expansion from contraction. The consensus from economists was than the PMI would be about flat in March, with signs the US economy is slowing. This also marks the 31st straight month the Index has been over 50. In more good news, the New Orders Index registered 57.4, an increase of 1.9 percentage points from the February reading of 55.5 and a good sign for future manufacturing activity. Of the 18 manufacturing industries ISM tracks, 16 reported growth in March, indicating broad-based momentum.